Life Teen Households is a Discipleship program. This is in addition to Sunday Life Nights, Tuesday Guys/Girls Groups and Wednesday Morning Prayer Group. Teens in a Household meet twice per month and are guided by trained Core facilitators. Each group is aimed at helping teens to grow in their faith by intentional friendship and community, studying Sacred Scripture and the Catholic teachings while being mentored by a Core Member who is faithfully living out the Catholic Faith. 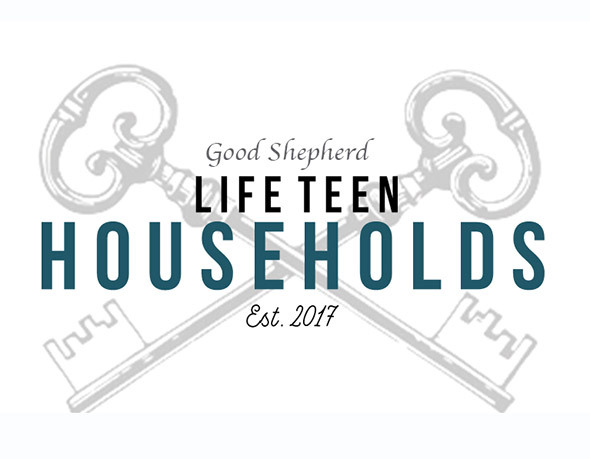 If you are interested in applying to be placed in one of our Life Teen Households, please click here to fill out and submit the form. For more information about our Life Teen Households discipleship program, contact Kelly Colangelo at colangelok@gsparishtlh.org.